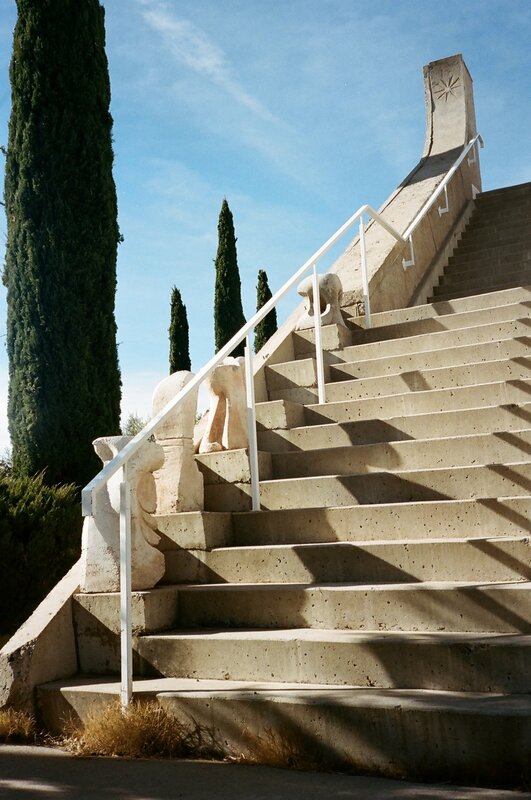 In January I travelled to Arcosanti, an experimental town in the Sonoran Desert in Arizona. I had read about the communal living experiment in my urban planning classes in graduate school and I'd seen photographs of the modernist concrete architecture clad with chipping paint and towered over by cypress trees, but I couldn't have prepared for how strange and wonderful this tiny city turned out to be. Both the landscape and the architecture at Arcosanti are otherworldly and full of contradiction. It's an exciting place to visit for road trip lovers and design enthusiasts. Arcosanti was conceived in 1970 by Paolo Soleri, a visionary architect who left his native Italy when he was 22 to study under Frank Loyd Wright. Soleri described Arcosanti as an "experimental micro-city seeking the radical reorganization of the built environment by integrating Architecture and Ecology," a city made "in the image of man." Paolo Soleri’s concept of compact city design, ARCOLOGY(ARChitecture and ecOLOGY), is a demonstration of how to pursue alternatives to urban sprawl that save resources and improve quality of life. 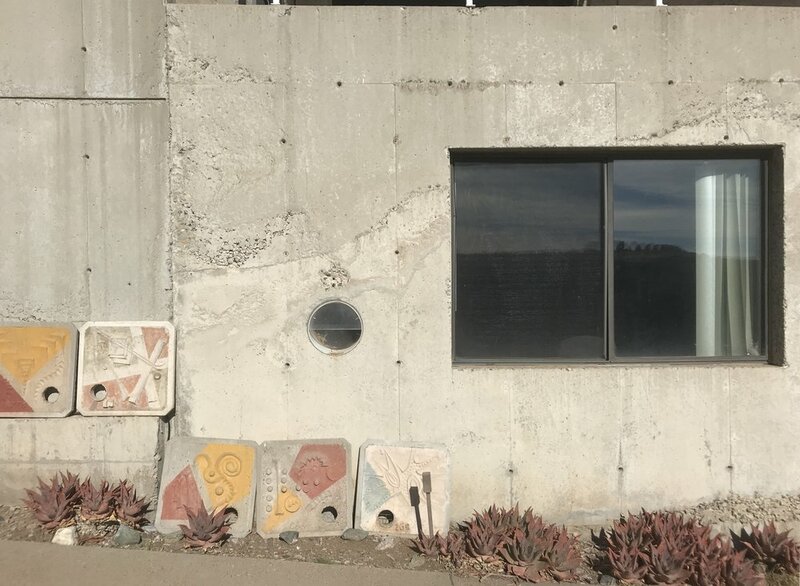 Arcosanti continues to be developed as an experiential learning center, with residents who live and work in the studio spaces and apartments. With both a metal-casting foundry and ceramics studio on site, Arconsanti continues to attract artists and those who support the founding mission of the site as a living experiment in challenging conventional urban planning practices.